The downside of video marketing is that producing a professional-looking video is more expensive than writing a blog post or a list of tips. If you lack the technical know-how to make things look right, you will have to pay a videographer to film your video for you (live video footage) or pay a professional to create your video (other types of videos). Not only that, but you may also need to pay a script writer, lighting designer and actors, graphics designer, and others – depending on how involved your video project is. That’s where social media comes in. Customers love to feel engaged with their favorite brands, and are often eager to participate in group discussions and contests. 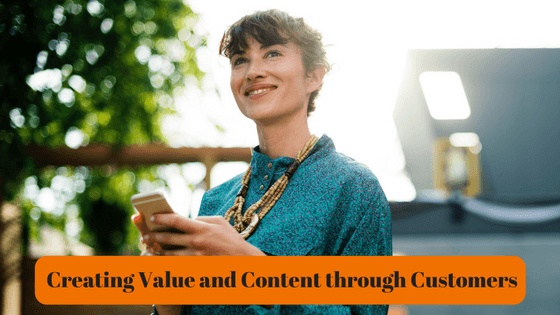 You can and should produce your own video content, but here are the top three ways to get your customers to produce videos for you. Solicit feedback. Customer testimonials are important for every company. The majority of people who make purchases online look for peer reviews of products and businesses before making a purchase. Ask customers to film themselves talking about what they like most about your product. You can share longer videos separately, or edit comments together into an ultra-short video and post it on Vine or Instagram. Monitor comments and turn them into testimonials. When someone leaves a very enthusiastic comment on your blog or Facebook page, consider contacting that person to see if they’d be willing to film a video testimonial. You can either ask the customer to film himself, or you can do it over Skype. That kind of video doesn’t require any technical know-how, and you can record it for free. Sponsor a contest. Most people love the opportunity to win something for free, especially if it’s from a product or brand they love. Use your social media pages and blog to announce a giveaway, and offer a free product or service to the customer who produces the best video having to do with your product. You can get creative and specify a particular framework for the video. You can specify the length of the video (anywhere from 6-second videos for Vine to 2 or 3 minute videos to post on YouTube, social media or your website.) The prize can be a combination of a free product or service, plus the exposure your customer will get from having their video featured. You might also consider giving multiple prizes to further incentivize people to enter. 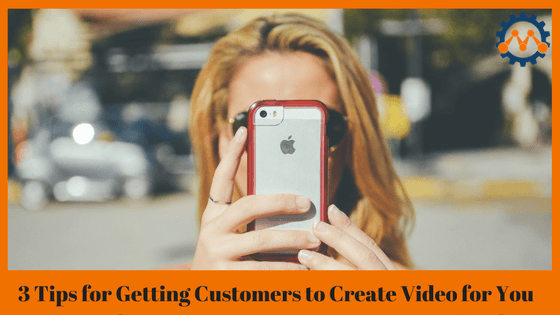 Be sure to share all of your customers’ videos and thank each person who produces one. Doing so will make them feel valued.